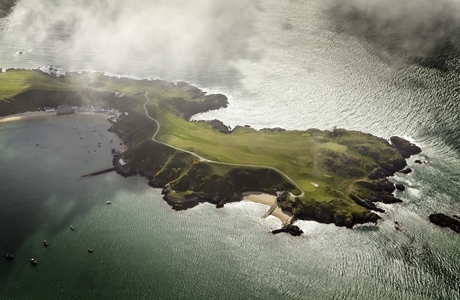 Founded in 1907 and extended in 1920 by James Braid and JH Taylor, there are few holes in world golf that match some of the holes on the Peninsula Course at Nefyn & District GC. 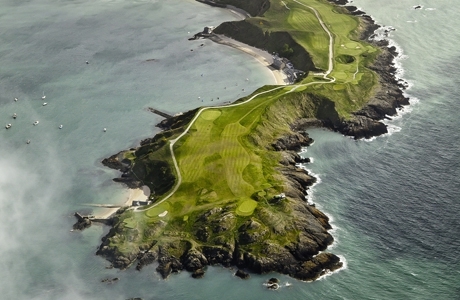 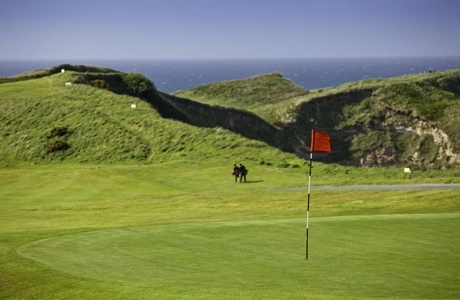 Nefyn’s 27 hole Championship layout, offers golfers a rich variety of challenges and rewards. 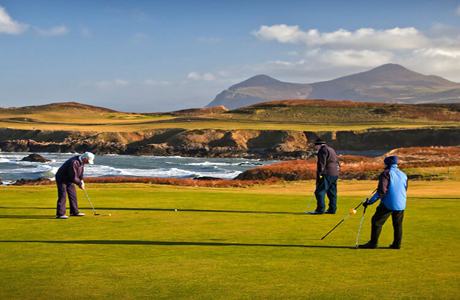 From the start, golfers are faced with spectacularly located tees, fairways which hug the rugged coastline and greens perched precariously close to the shoreline. 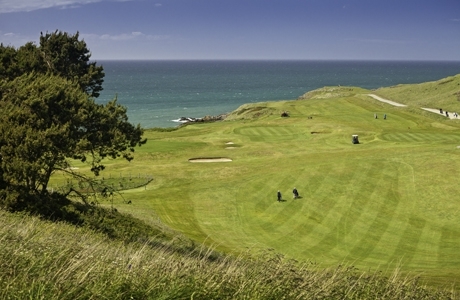 The ‘Front’ Nine opens with three testing par 4s along the shoreline, a par 3 played from a narrow promontory to a closely bunkered green before heading inland. 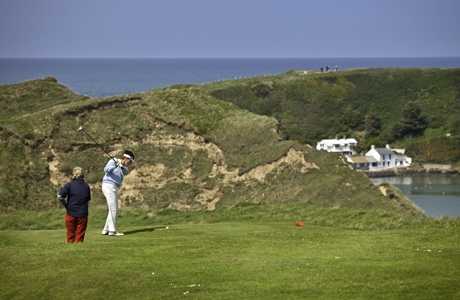 The ‘New Championship’ Nine section has a series of par 4s, including the demanding two shot 6th hole around the estuary and a genuine 3 shot par 5, brings the golfer back to the panoramic location of the 9th tee heading for the clubhouse. 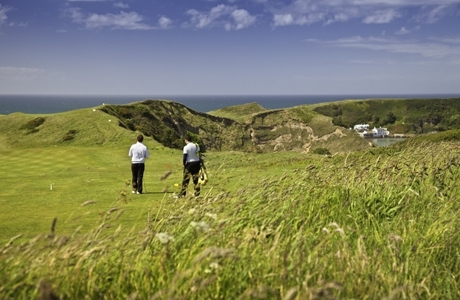 The ‘Old’ Nine is offers a different challenge at each hole. 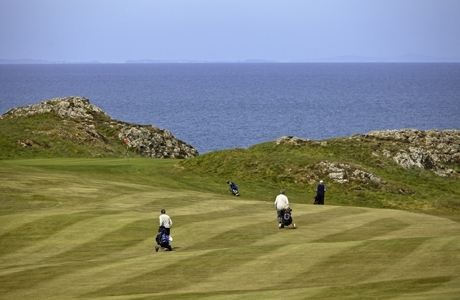 Especially the 4th with its 200 yard carry over the bay and the demanding par 5 8th hole where the sea is never more than a few yards away.